Sell Your House Fast In Elgin, SC. We Buy Houses For Cash. You’ll get a fair all-cash offer. And that means no waiting for a bank to approve it. So you could walk away from closing in less than 30 days with cash in your pocket and doing your happy dance. Imagine how that’ll feel. 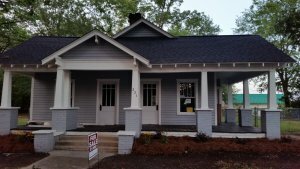 How to sell your house fast in Elgin, SC. Do you think that any agent will hand you an all-cash offer to buy your Elgin house within 24 hours after calling them? I’ve never heard of that happening. Imagine getting a fair offer for your house within 24 hours from now. Then walking away from closing with cash in your pocket in less than 30 days. What would you do? Where would you celebrate? There are a lot of companies who buy homes quickly in Elgin so what makes us any different? Our goal is to help you get out of a tough situation. The stress you feel about how to sell your house fast will be turned into relief when we buy your house. We help people who are in tough situations, such as the death of a family member, foreclosure, divorce, difficult rental property, unaffordable repairs, and many others. We can help people by buying their Elgin property at a fair price and using all cash. So you can easily sell your house fast. Tired of putting up with the hassle of owning a property? Do you wish you could skip the time-consuming process of waiting months for a real estate agent to find a buyer? We can help. We buy houses directly from homeowners. Call us at 803-592-2353 and we’ll explain how we can help you and your specific situation. Can You Get Your House In Elgin Back After Foreclosure?